We think this might be the best event in town. 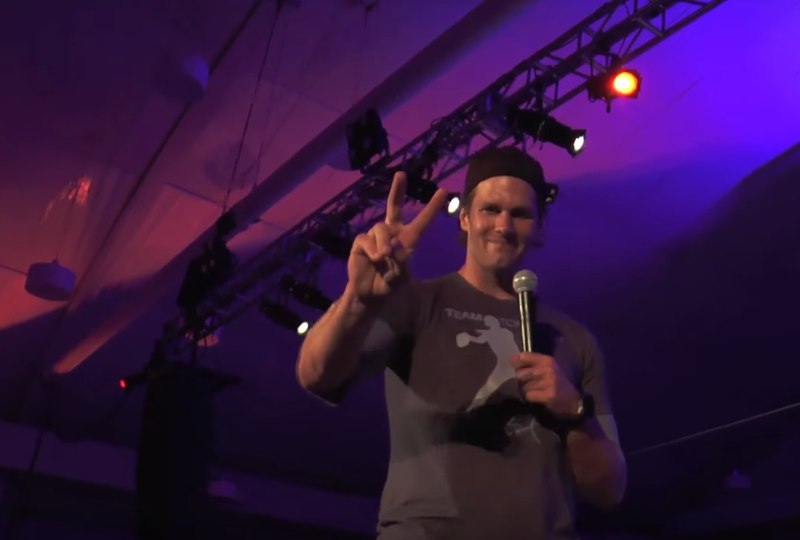 First of all, it’s run by Tom Brady to benefit Best Buddies, a nonprofit organization dedicated to establishing a global volunteer movement that creates opportunities for one-to-one friendships, integrated employment and leadership development for people with intellectual and developmental disabilities. An amazing athlete creating an amazing event to benefit an amazing cause. Sounds pretty cool, right? Well, add to those details that Boston’s biggest VIPs come out to support this great cause, including Massachusetts Governor Charlie Baker, Hollywood home girl Maria Menounos, and a slew of Tom’s best football friends to play football at the legendary Harvard Stadium and then attend a food an wine festival hosted by celebrity chef Guy Fieri and you get what we’re saying right? The icing on the cake is, of course, that we have one of our favorite talents Camille Kostek hosting the piece and you’ve got yourself a rock star segment. Enjoy!